The Tesla Model 3 might have made a lot of noise for being future-ready but, from the looks of it, not everybody’s all praise for it. There have been some not-so-hushed talks about the quality control issues with the new Model 3. 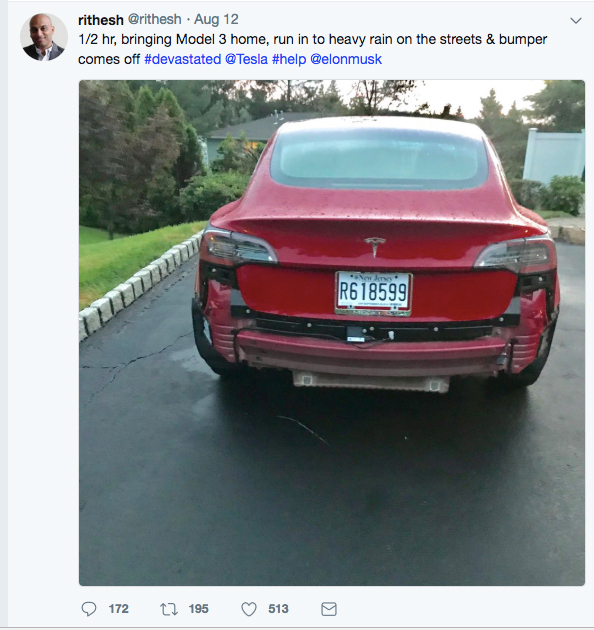 And now, in a latest development, Rithesh Nair, an Indian-origin Tesla owner, has tweeted about his Model 3’s rear bumper falling off within the first 30 minutes of driving the car back home! 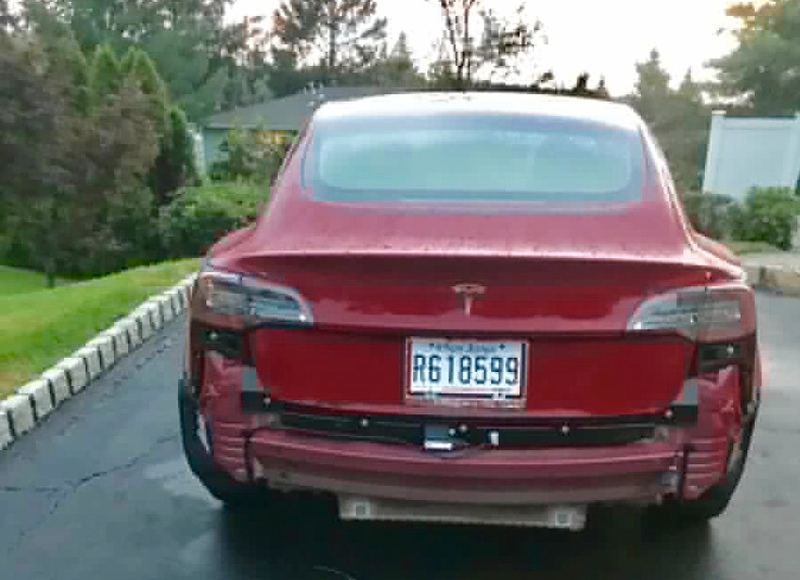 Commenting on this, a Tesla spokesperson said that the company is looking into this matter and that this is “is not how we build our cars.” We’re not sure why the bumper fell off but it looks like the downpour played a role in this rather unfortunate incident. What’s quite strange is that today, we live in a world where even the most bargain-basement cars don’t start dropping their body panels in the rain or other harsh climate conditions. What’s even more interesting is that Nair’s isn’t the only Model 3 that has decided to bid an early farewell to its bumper. As per another tweet, there has been another Model 3 that has lost its rear bumper. It’s said the reason for this is a cloth-like shielding under the car, whose job is to deflect water below the bumper. However, in case this shielding gets torn or even a bit loose, water accumulates inside the bumper, which often leads to to the bumper falling off owing to the weight of the water. While this could be really the reason for Tesla Model 3s loosing their rear bumper, the entire incident of a brand new Tesla loosing one of its body panel within 30 minutes of driving out of a showroom is pretty ridiculous.